Taught by leading curators and designers and run jointly with the Design Museum, this MA is the only course of its kind. Enabling students to develop the skills to curate, interpret and communicate contemporary design within the museum and cultural sectors, it has gained an international reputation. 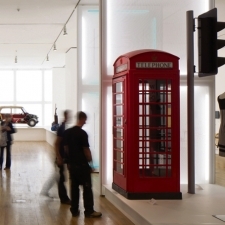 Find out more about the Curating Contemporary Design MA or the Design Museum.